Medical professionals have admirable qualities such as intelligence and motivation. Due to the accomplishment of acquiring a degree via the rigorous and demanding journey of medical school and the selfless services they provide, physicians in particular are widely admired for their occupation. However, being a physician does not imply immunity to the ills of stress. The medical field is very demanding. Partly due to this reason, doctors are more likely to be vulnerable to drug or alcohol addiction, themselves. 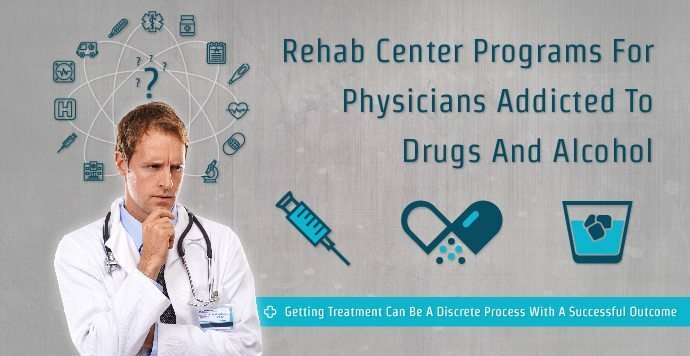 When seeking treatment for a drug or alcohol problem, it is especially important to look for rehabilitation options that are customized to meet the precise needs of the prospective patient. Rehabs for drug or alcohol addiction that focus specifically on meeting the needs of physicians suffering from addiction are available. To the average person, it might seem unlikely that a physician would become addicted to alcohol or another drug. After all, most doctors are successful and have it seemingly “better off” than the average Joe. Physicians in America are required to complete a four-year bachelor’s degree, four years of medical school, and a three-year residency program in order to acquire their license to treat patients. In many college atmospheres, the use of drugs are encouraged, or at least commonly accepted, in order to simply get through the daunting process. Sometimes this environment sets the stage for a habit of drug use and abuse. Physicians are consistently required to meet the needs of the public, whether in a family practice or in a hospital. This means being available at inconvenient times and seeing many patients a midst a fast-paced atmosphere. In addition to the demands inside of the workplace, many physicians are required to be on-call, taking phone calls for a variety of emergencies, and sometimes being required to leave the comfort of home and family life at a moment’s notice in order to serve patients. Such a hectic schedule can cause a physician to use medications to cope with the busyness needed to complete day-to-day work. Dealing with the health issues of patients isn’t exactly easy. Sometimes patients’ health issues do not get completely resolved, despite various treatments. This can lead to patients becoming disgruntled and unsatisfied with the care they have received, and doctors becoming discouraged. Doctors also see patients pass away, even when the best possible medical care has been provided. Ultimately, physicians are often plagued with back-to-back negativity. Although doctors have the potential to see reward due to the outcome of treatment options offered to patients, the rewards are not instant. Witnessing the benefits of the medical care that patients are provided usually takes time. The lack of immediate, positive results and the chore of treating under-the-weather patients are other factors that can cause physicians to turn to using drugs or drinking. Although it is a bit frowned upon for physicians to prescribe medications to themselves or close family members, it is still done. A doctor must be extremely cautious in the case of controlled substances, due to questions surrounding ethical practice, that he or she has documentation of treating a patient at his or her practice. Not doing so could mean putting one’s license in jeopardy. However, laws forbidding self-prescribing or prescribing to family are limited. In most cases, it is up to a licensed pharmacist to determine with careful discretion whether or not a prescription should be filled. Getting hands on habit-forming medications is fairly simple, because of the lack of strict monitoring at the office level regarding whom a physician prescribes to and what he or she prescribes. It goes without saying that most physicians seeking treatment for drug addiction have a high standard of care, and might have questions about what type of quality treatment facilities are available. Many drug or alcohol rehabilitation centers have programs specifically for treating medical professionals. These programs offer acutely individualized care and heightened attentiveness to the needs of physicians in rehab. Overall, a doctor seeking treatment should not be burdened by finding a drug or alcohol rehab. Outstanding options for effective, quality care can be presented by simply talking with a professional. Those who have dealt with the challenge of drug or alcohol addiction know the difficulty that being placed in a familiar environment can have. Being thrown back into medical practice and all of the pressures that go along with it could be detrimental to a recovery process. A monitor is simply a trustworthy person who works or lives alongside a doctor that will help the doctor be responsible and accountable on a day-to-day basis. Then, the attentive monitors do report to PHS quarterly (for a typical period ranging from two to five years). This process ensures that the physician maintains his or her status as a secure, licensed provider. 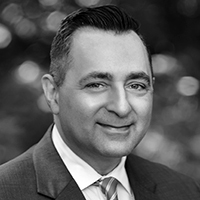 It is common for physicians to avoid seeking treatment due to fears surrounding how drug or alcohol addiction can destroy both a reputation and a career. However, getting help can certainly be a discreet process with a successful outcome. If you are a doctor who has become vulnerable to a drug or alcohol habit, moving forward with rehabilitation is a smart and effective option. Experts are available who will connect you to a rehab facility that exceeds your expectations. Contact us today at RehabCenter.net to find out more information about a treatment option that is a perfect fit for you.